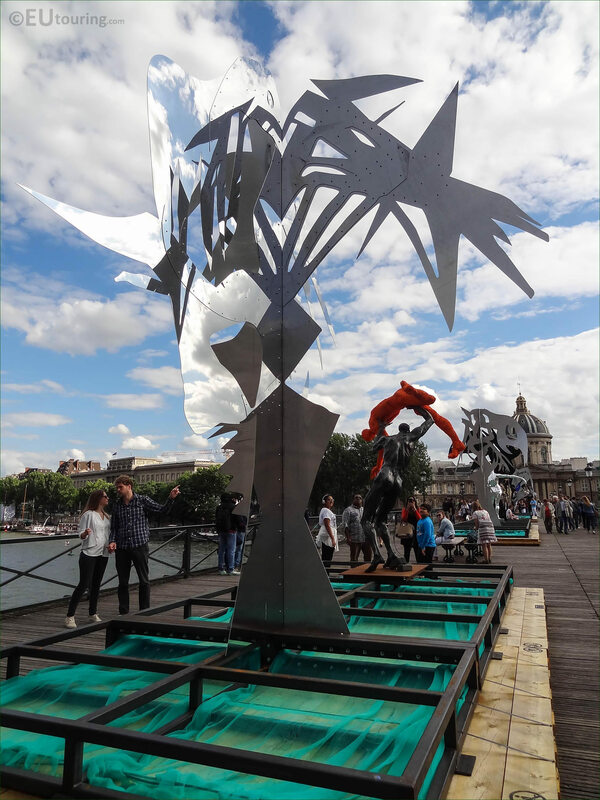 We were at the Pont des Arts, when we took these high definition photos showing a contemporary art sculpture called Arbre V, which was sculpted by Daniel Hourde as part of La Passerelle Enchantee temporary art exhibition. 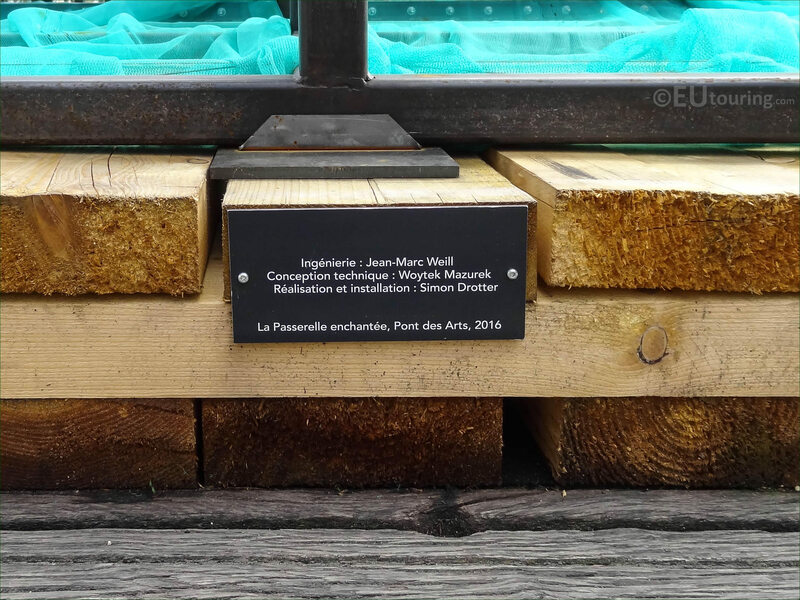 The Pont des Arts is an historical bridge that goes across the river Seine from The Louvre to the Institut de France, and used to be famous for its love locks, but due to the weight dangers of the hundreds of thousands of padlocks, these have since been removed, and now temporary art works are on display. 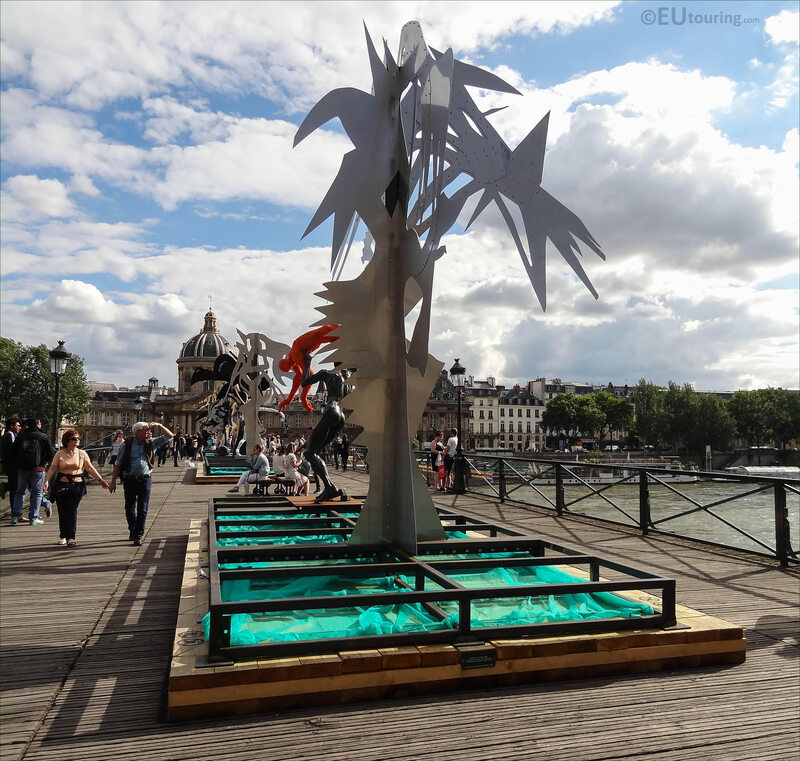 So in this HD photo you can see a sculpture called Arbre V, which in English translates to Tree 5, and there are actually ten of these that were designed by the artist and sculptor Daniel Hourde, for a temporary exhibition entitled La Passerelle Enchantee, which again, in English translates to The Enchanted Footbridge. 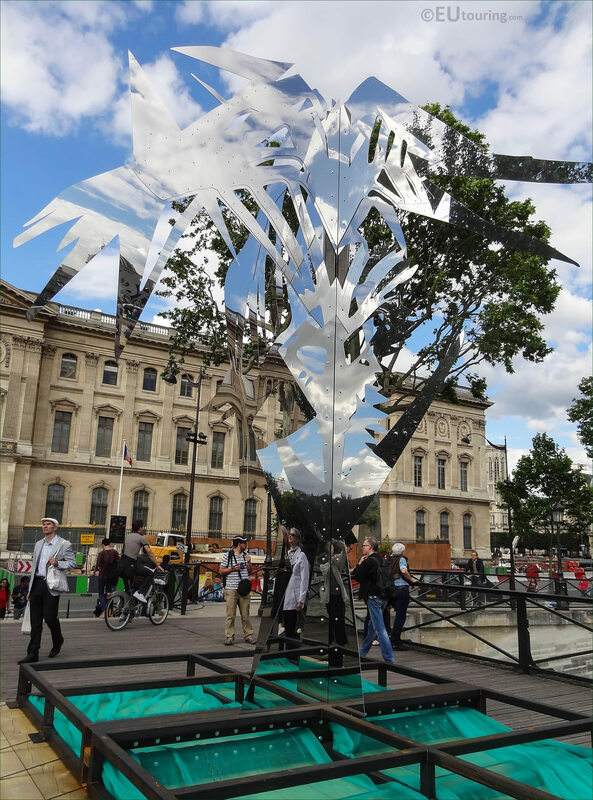 You will see in this photograph that Daniel Hourde used steel and reflective metallic materials to create the Arbre V Sculpture so that it acts like a mirror and portrays the surroundings, with the clouds, shade, etc. 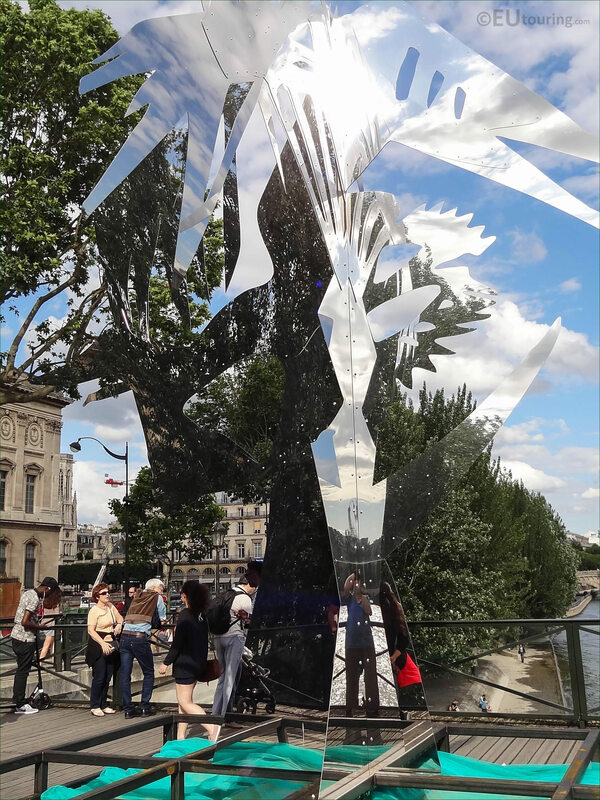 But the idea behind the exhibition and incorporating sculptures as trees, was the artist thinking back to when the original architects and designers of the Pont des Arts wanted it to resemble a suspended garden promenade, which it was for a very short while, although it was too much to maintain. 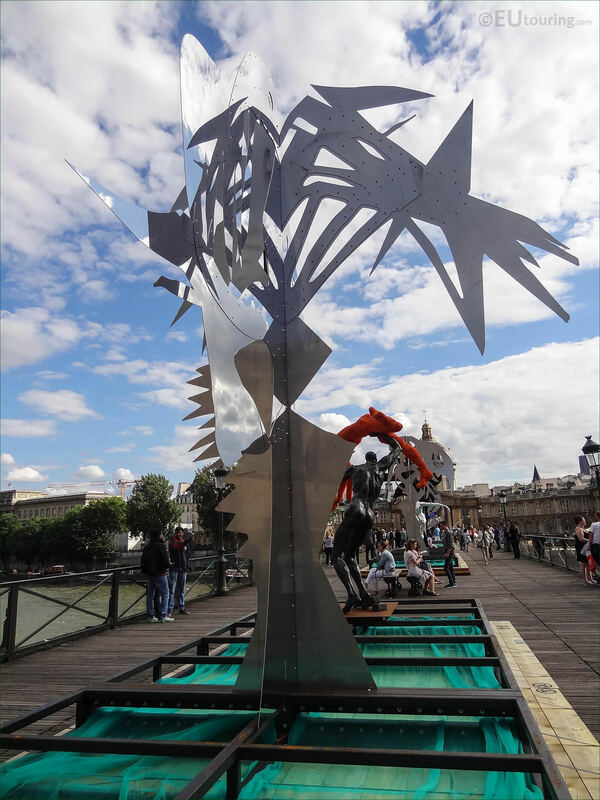 Also, Daniel Hourde want to incorporate metal into the contemporary art sculptures, to coincide with this bridge and how many people think of it, as being the Bridge of Love, hence why the title of the exhibition is called Enchanted Footbridge, as it was designed to evoke a sense of magic and myth combining art and history. 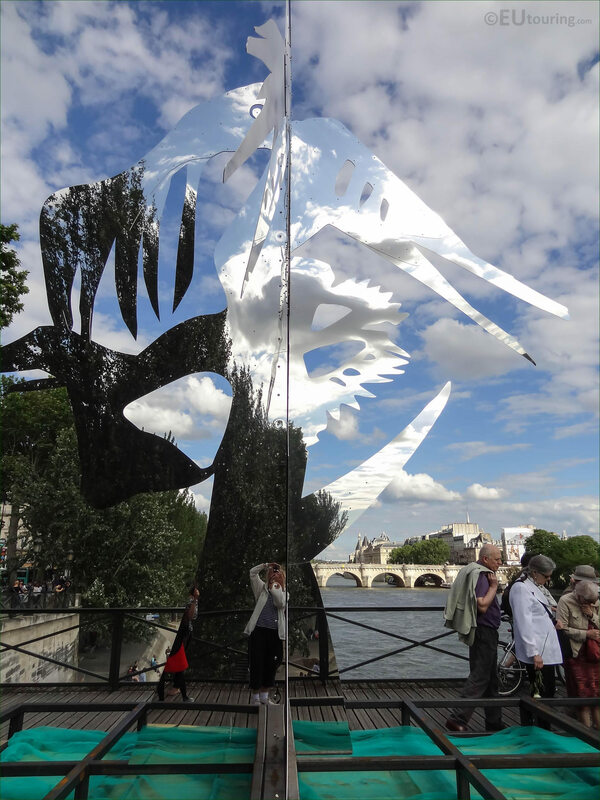 As you can tell from this photo, the Arbre V is just one of many sculptures on the Pont des Arts designed by Daniel Hourde for the Passerelle Enchantee temporary exhibition, which coincides with an exhibition at the Galerie Agnes Monplaisir in Paris.